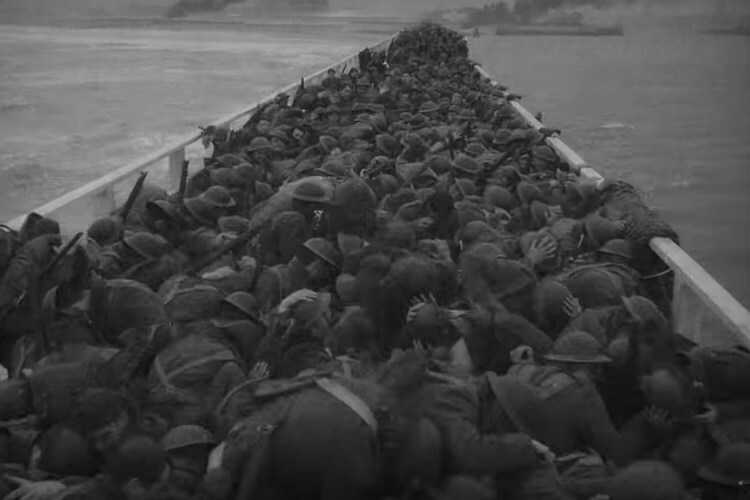 Inspired by real-life incidents during the early days of World War II, Christopher Nolan’s Dunkirk showed us the French and English evacuation from the island by the same name. The Nazi forces had swept across Europe, by mid-1940s and pushed thousands of soldiers to the beaches of Northern France. In the movie, however, Nolan does not use heavy bombings or gory scenes to lay bare the plight of the abandoned soldiers. “I wanted to address the story very much in the language of suspense. That is the most visual language of the film. And so it leads you towards an approach stripped down of dialogue, really looking to the visual masses of the silent era,” said Nolan while talking why he purposely did not have a lot of spoken scenes in Dunkirk. That is the premise YouTube channel, Like Stories of Old tries to capture by reimagining the movie without any dialogues whatsoever. The eight-minute-long black and white film has condensed the 2017 release by using only the most defining moments of the movie.